This will depend on the type of aquatic environment chosen and which filtration and lighting system are being used. Chillers, Reverse Osmosis Units and Wave makers could all be considered. 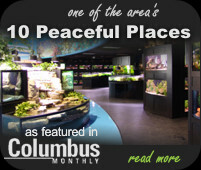 Most all of our aquarium inhabitants are tropical species, living in temperature ranges between 75 and 80 degrees F. Given enough time to adjust, most organisms can tolerate temperatures outside this range, provided fluctuations are minimal. Sometimes however, in our aquariums, the temperature has a tendency to rise much too high for any organisms comfort. The myriad of lights, filters and pumps used on our system can add abnormally high amounts of heat to the aquarium. Virtually all pumps used today are water cooled, so they release their excess heat into the aquarium. The lights used are sometimes high powered and generate as much heat as they do light. Aquariums can reach in excess of 90 degrees F, and chillers are units used to keep this from occurring. A chiller is basically a refrigeration unit that passes water through coils where heat is drawn out and then the water is returned to the tank. R.O. units are water purification systems that push the tap water through very fine micron filter sleeves essentially stripping the water of everything it contains, making it pure. Tap water contains elements such as Nitrates and Phosphates which can contribute to undesirable algae build up. 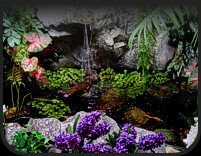 Using a reverse osmosis unit will help minimize algae growth and aquarium maintenance. Wave makers are electrical controllers that alternate power to various water pumps in an aquarium. The effect is a random motion of water that pushes to and fro, to simulate the action of waves on the reef. 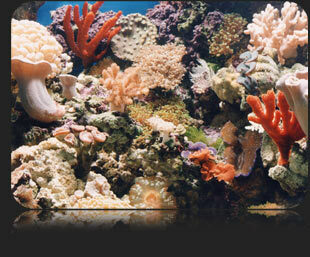 The role of water motion is of vital importance in both reef tanks and fish tanks. Utilization of several pumps to move water around helps carry wastes away from and nutrients to sessile organisms. Additionally, it provides a more natural habitat for fish, as most of the fish we keep live on the reef, where constant water motion is the norm.